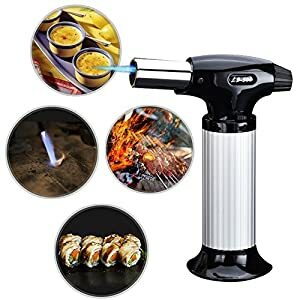 Achieve faster & even charring/browning with double flames, make high-end desserts like a Michelin star chef, adjust flames for a range of different needs, and use it like a pro even if you are a beginner! 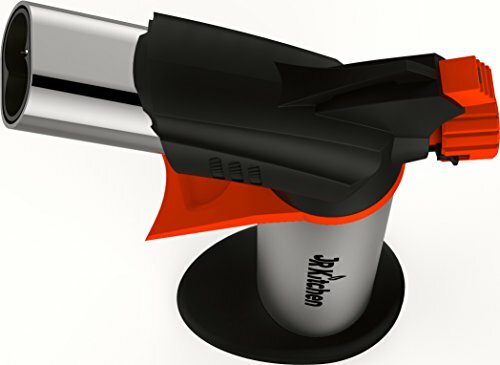 We also offer 3 YEARS WARRANTY with 90 DAYS MONEY BACK GUARANTEE! 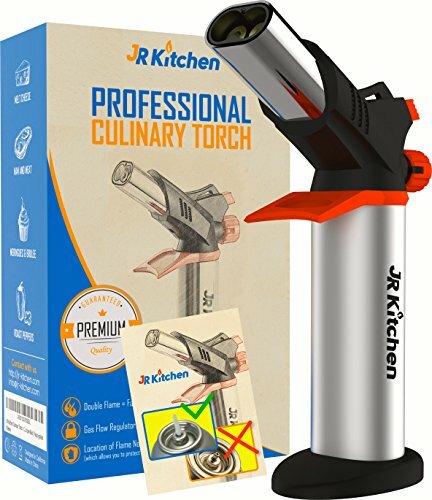 ORDER NOW and Get this Incredible Chef’s Culinary Torch Delivered to you in Just 3-5 Days! 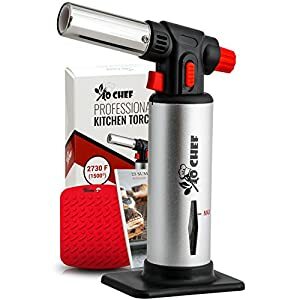 CULINARY ESSENTIAL – Make classic Crème Brûlée like a pro chef, sear meat & fish, or bring color, flavours & textural contrast in sous vide meat by finishing it with our double flame culinary torch. 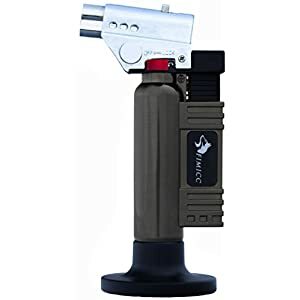 FUNCTIONAL EFFICACY – With adjustable torch double flame, achieve caramelisation or browning of food in half the time, ensure uniform heating & enjoy better fuel efficiency – can heat up to 1500°C / 2732°F. 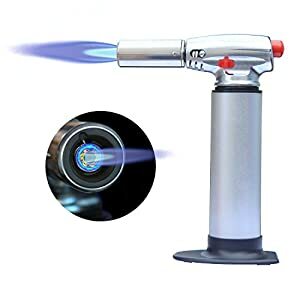 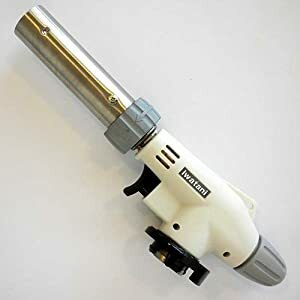 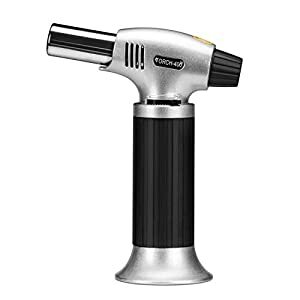 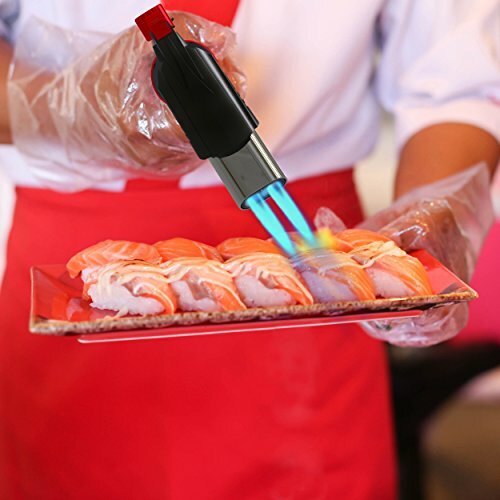 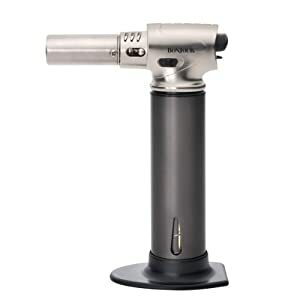 EASY & SAFE – Be assured of safety with this blow torch’s Anti-flare technology & safety lock, experience hassle-free uses with piezoelectric self-ignition, fill the gas effortlessly (Fuel Not Included), and enjoy 60 minutes of creativity! 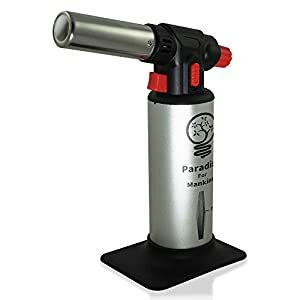 PREMIUM BUILD – Our gas torch replaces transparent plastic tank (prone to deformation at high temperatures) with a heavy duty material, and also eliminates a weak section like fuel gauge window, thus offering a sturdy overall build; the torch even boasts a stable base that prevents it from toppling over. 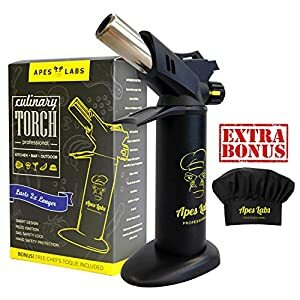 GIFT & GUARANTEE – This incredible cooking torch is equally suitable as a professional chef torch or beginners’ torch, and with its well designed package it makes for an ideal gift for any cooking lover. 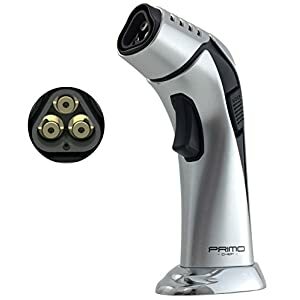 You also get 3 YEARS WARRANTY with 90 DAYS MONEY BACK GUARANTEE! So, get one today & impress guests with your culinary skills.